We are pleased to announce the addition of Dayana Martinez to the LUXE Properties Team. 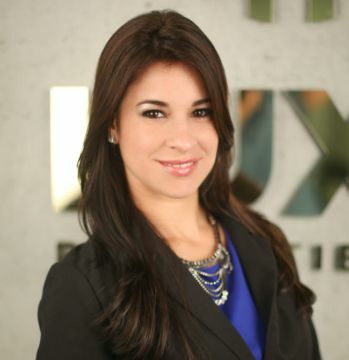 Dayana is excited to bring a fresh perspective to South Florida’s real estate industry. Being sincere, flexible and demanding when it comes to defending her client’s interests has been the key to success for Dayana Martinez. She uses her professional knowledge to make each of her client’s real estate experience as smooth as possible. Her greatest joy is surpassing their needs and expectations. Dedicated and hardworking, Dayana’s commitment to her clients ensure professionalism and satisfaction to the end. Dayana was born and raised in Cuba. She graduated with an AA at Palm Beach State College and is currently working on her Bachelor’s in Business Administration. She moved to Miami a couple of years ago and last year had her baby, Dylan. She enjoys taking risks in life, traveling, eating out and trying different cultures and cuisine. Whether buying, selling or renting, Dayana Martinez is ready to assist you with your residential real estate needs.